AGIA MARINA. 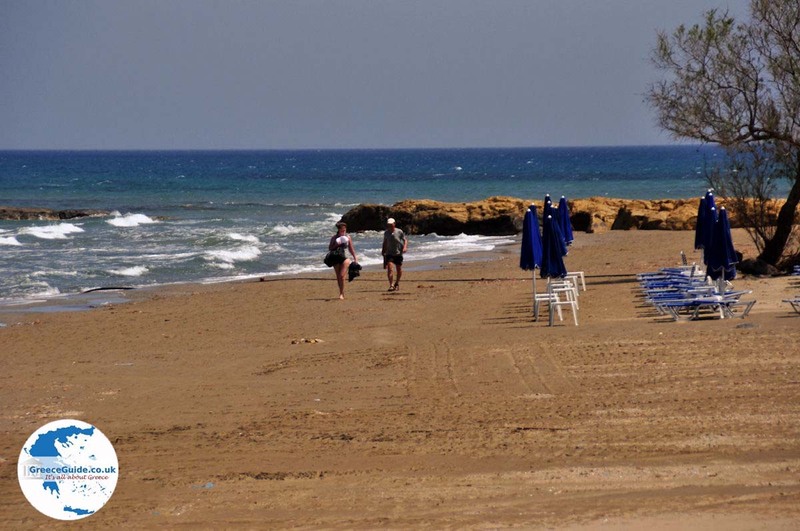 Agia Marina is located on the northwest coast of Crete, at the bay of Chania. 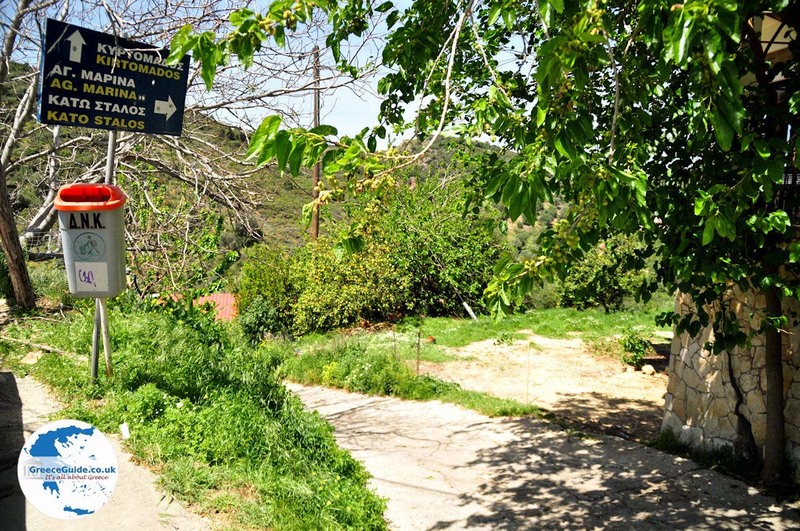 It is a pleasant village that only in recent years has developed tourism. 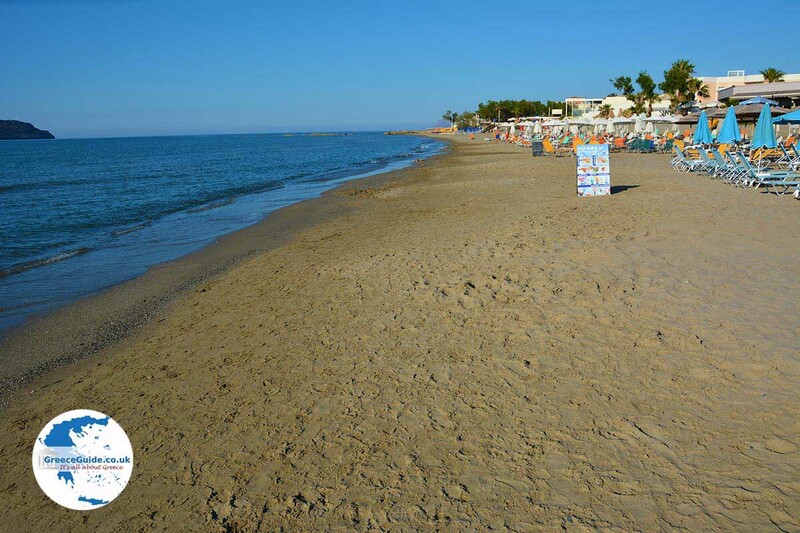 It has a very nice sandy beach where all kinds of water sports are available. 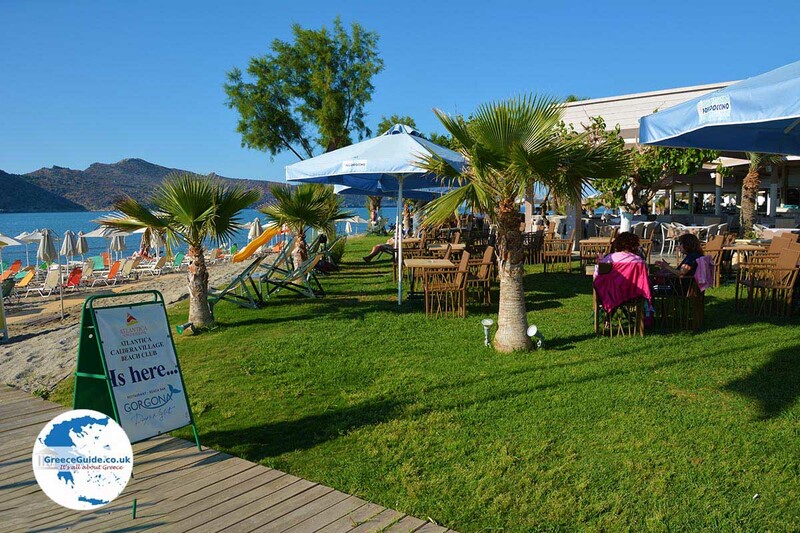 Everywhere are sun loungers and parasols and behind it there are a number of popular beach bars. There are all kinds of play facilities for children such as mini golf, inflatables etc. All the beaches have been awarded the blue flag. (the official certificate for a clean sea and a safe beach). 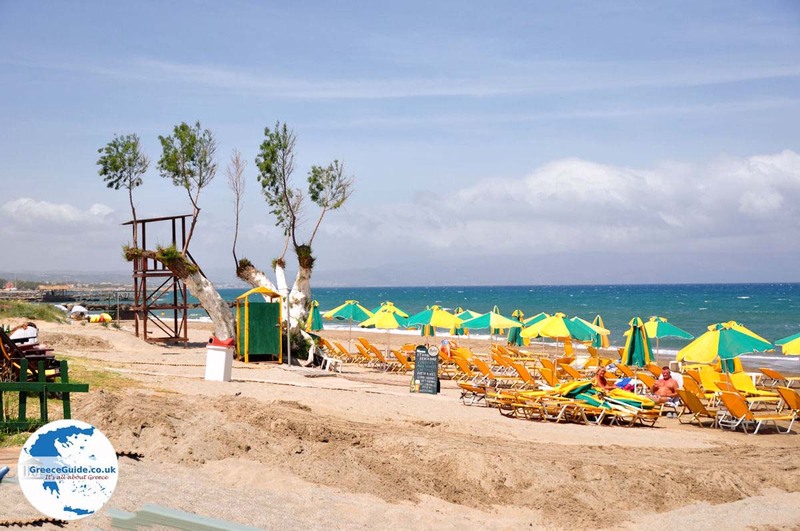 In Agia Marina, which is located about 10 kilometres west of the city of Chania, live about 1500 permanent residents. During summer many more people stay in Agia Marina, because there are a lot of hotels and apartments. 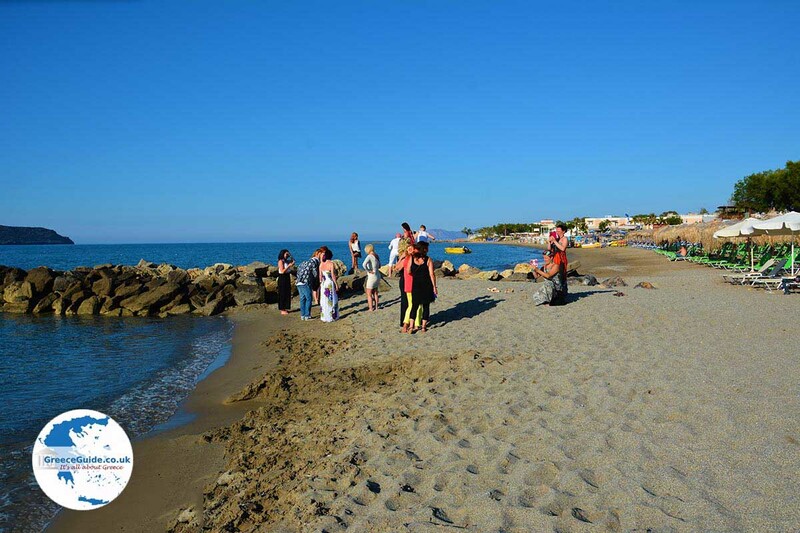 Agia Marina is a nice village, with a busy street and it is a good base for many excursions, walks and boat trips. 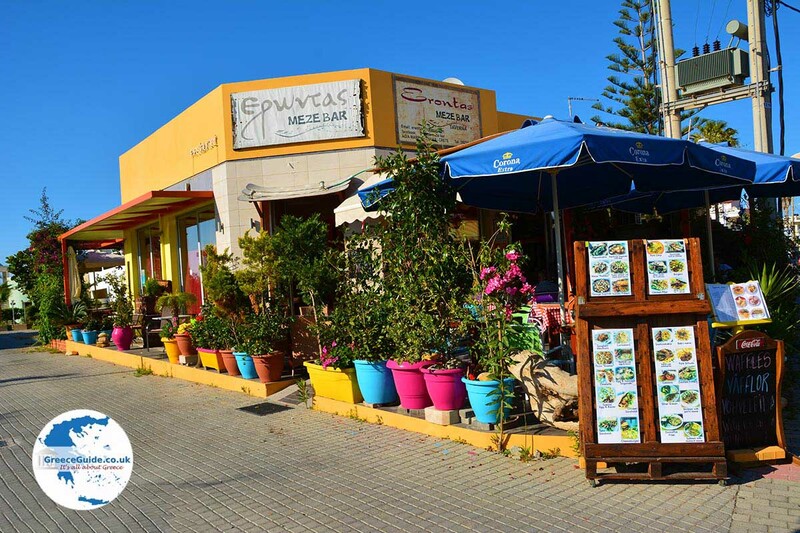 In Agia Marina there are many restaurants and cafes, where you can choose both traditional Cretan dishes, like fish or international cuisine. One and a half kilometres south of the village is the cave "Nerospilia" which literally means water cave. Here you can see stalactites and stalagmites inside which was a sacred place in Minoan times. On June 8 and July 17 every year there are festivals held that are well attended by people from the region and visitors. 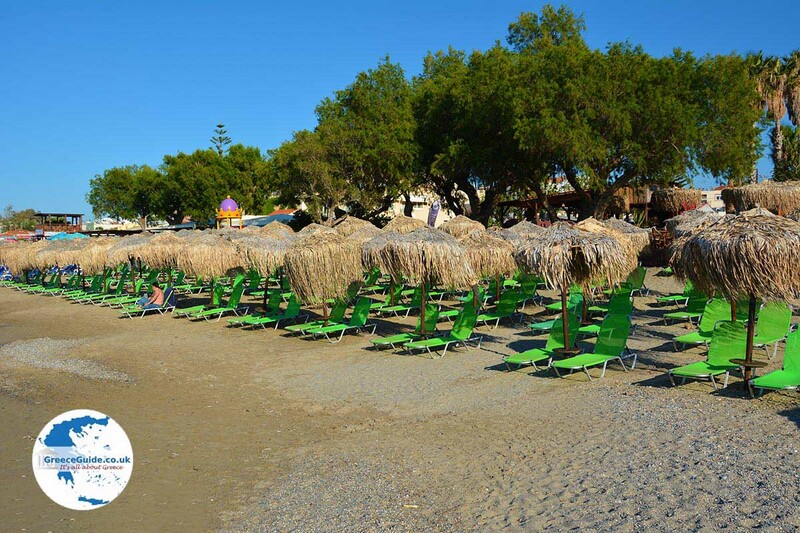 From Agia Marina it is worth visiting the beautiful villages inland. 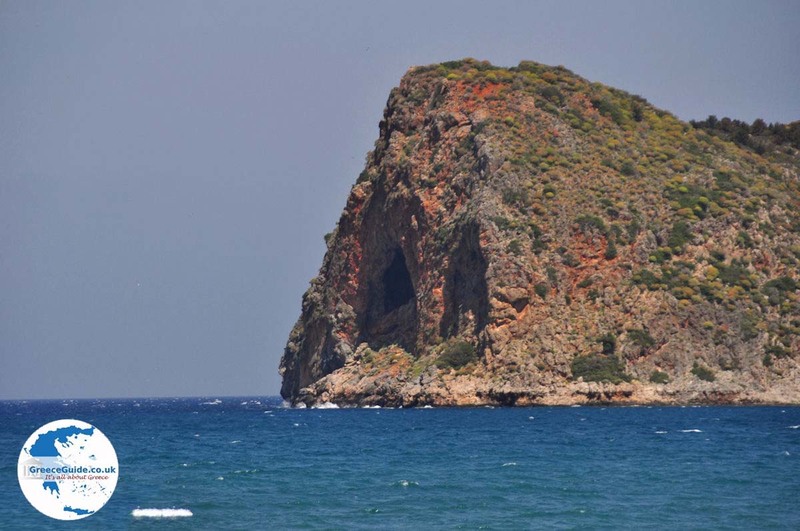 Opposite Agia Marina is the islet of Agioi Theodoroi where many Kri-Kri's (goats) live and where you can see a cave on the western side of the island. To visit the island you need a permit from the local forester. You can also rent a pedal boat and go around the island, for that no license is required. 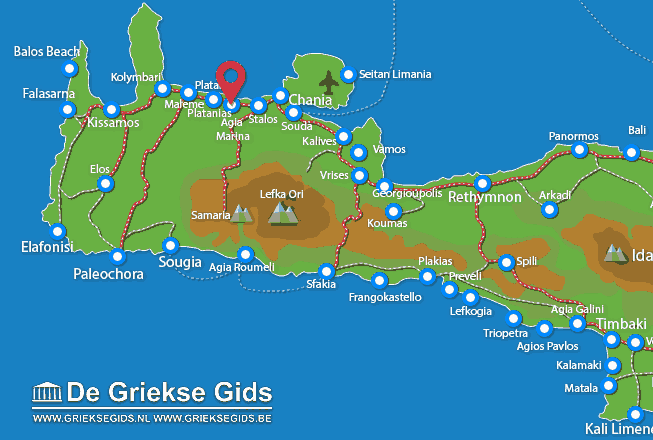 Chania Prefecture: Where on the map is Agia Marina located?